2nd Annual MLB Jr. Home Run Derby Being Held at Ford Field on Saturday May 5 starting at 12:30 pm. Details & Registration Forms Below. Only 32 Spots Available in 12U & 14U Age Groups!! 2nd Annual Pittsford Panthers Pin Championship. Team Janson defeats Team Puma by a two game score average of 103.752 to 103.573! 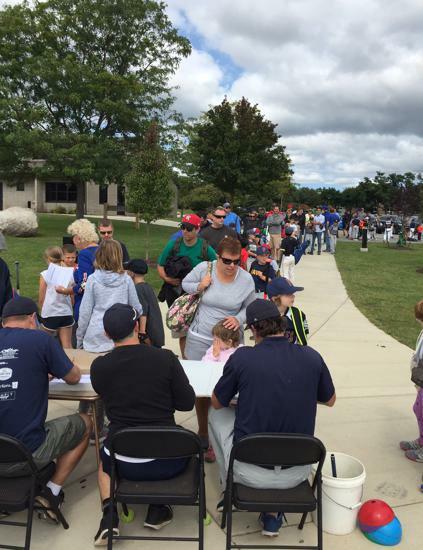 Tremendous excitment from parents and players as Pittsford Community Baseball begins!! Congratulations to the 10U Pittsford Panthers team for winning the 2017 HFL All-Star Tournament! Great job to all the players and coaches Dermody, Bailey & Weiner! Congratulations to our 13U Panther team who won their Division Championship by a score of 11-10 over Newark! Awesome job boys and coaches Young, Petrichick, Muench & Arigo, well done!